The community service will begin in our sanctuary and travel to the other churches in the valley before ending next door at St. Stanislaus Catholic Church. Please remember we will be walking to the other churches -- dress for the weather and wear comfortable shoes. Easter Sunrise Service, April 21st, 6:30am. An ecumenical service will be held at the Mill Park on Route 44. 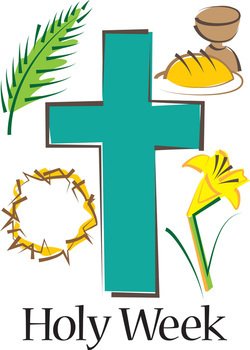 Easter Service, April 21st, 9:30 am. HE IS RISEN!